If you’re going to be undertaking any major building projects on your home this year, it’s never too early to start planning. Remodeling your home can be challenging, but if you plan accordingly, you will prevent many of the headaches that come with making new additions to your home. This post will show you why it’s important to start planning your remodeling projects right now, rather than waiting until it’s time to get started. We will also provide you with 5 actionable tips that will make your projects easier. 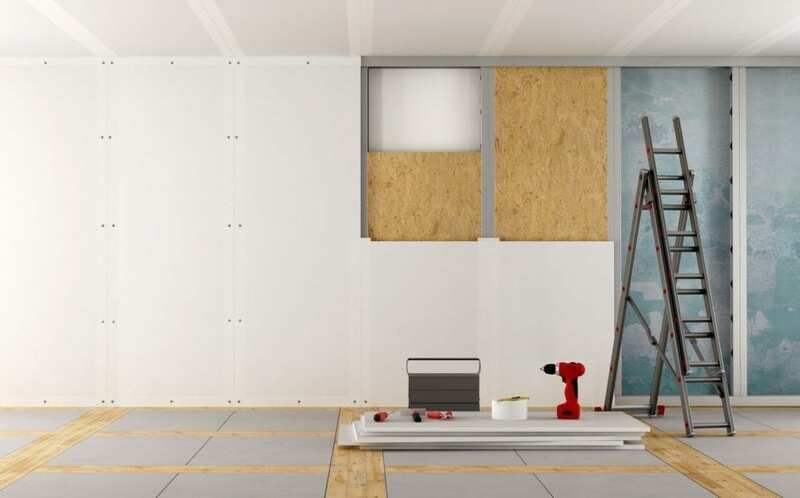 Many homeowners make the mistake of waiting until the spring or summer to start planning for their remodeling projects. This isn’t a good idea. Failing to plan ahead can create more of a hassle for you and your family. It can also be quite expensive. When you start your planning earlier in the year, you can anticipate any potential issues that might arise during your project. Additionally, you can give yourself more time to decide exactly how you want to make the changes to your home. It also allows you to prepare more effectively. If you’re going to be making major changes to your home, it might be a good idea to hire a designer. You want to start speaking with design professionals long before you start the project. An interior designer or architect can help you map out an effective plan for your project. They will also make suggestions on features you may not have thought of previously. If you start the process early, you will have enough time to engage multiple professionals who can give you helpful insight on how you should design your project. Different design professionals offer different types of services, so if you start early, you can figure out which type of designer you need. The more educated you are, the better. When you have chosen a designer, you will need to have your plans drawn up. Your designer can help you with this. Creating the schematic design of your home can take some time — which another reason why you should start the process earlier. This is especially true if you know you’re going to want to make changes to the plans. It’s best to have a preliminary plan in mind before you contact the designer. This way, you can give the professional something to work with, even if you end up altering the plan later. Unless you plan to do the remodeling yourself, you will need to hire a contractor. While designers will help you plan out your project, the contractors will be the ones to do the work. Once you have figured out what you plan to do with your project, you need to start interviewing professionals who will execute your plan. It’s a good idea to start speaking with contractors even if you plan to start your project later in the year. This will help you get a better idea of how much the project will cost, how long it will take, and which contractor will be the best fit. You will probably need to interview multiple contractors before you determine which one will be the best for your project. If you start early, you will have more than enough time to find out which company you should hire to work on your house. As you might already know, figuring out your budget is probably the most important aspect of remodeling your home. After all, you don’t want to break the bank, right? Speaking with designers and contractors beforehand can help you figure out how much your project will cost. Design professionals and contractors can give you estimates on how much you will pay to have your project completed. This will help you avoid any surprises when the work begins. The last thing you want is a home improvement project that goes on and on and on. At some point, you want to enjoy the new addition to your home, right? Planning early can help you figure out how long the project will take. It’s best to have a realistic view of the length of the project. When homeowners wait until the spring or summer to start planning, they usually are not taking into account the amount of time involved. You don’t want the whole summer to go by and not be able to enjoy that new deck you put in, do you? One of the benefits of interviewing multiple contractors and designers is that you can get an honest idea of how much time you will be investing in your project. You will also need to figure out how long it will take you to get the appropriate permits for your remodeling efforts. It’s also important to take into account any hiccups that could occur along the way. Sometimes, setbacks can make projects take longer than planned. The key to a successful remodeling project is careful planning. The earlier you start, the easier it will be to map out a strategy that works for you. When you have an effective plan, you decrease the chances that you run into obstacles that could derail your project. In the end, you will have a wonderful addition to your home without the hassle.